A familiar hum of tattoo guns reverberates in a downtown shop where people adorn their bodies in a tradition thousands of years old. While the history of the modern tattoo can be mostly traced back to Polynesian and Japanese roots, a plethora of other styles exist today: American, Trash-Polka, watercolor, dotwork, black and grey, lettering, realist, surrealist, biomechanical, Tahitian, Samoan, Maori, Hawaiian, Celtic, Native American, Haida, to name a few. Across history, tattoos have been worn as status symbols, rites of passage and marks of rebellion. European sailors brought tattoos back with them from Polynesia where men and women tattooed their faces to display their rank, prowess and lineage. Ancient Japanese covered their bodies in elaborate suits representing the ornate kimonos whose use was restricted solely to royalty and the elite. Prior to that, Egyptian women wore tattoos thought to protect themselves throughout childbearing. The art dates back more than 5,000 years to a mummy named Ötzi who was discovered frozen in the Alps. 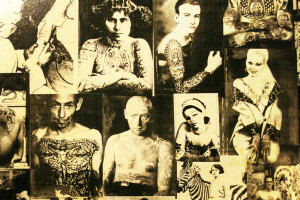 Wallpaper in Austin, TX True Blue Tattoo shop pays homage to history of tattooing in America. The association between tattooing and sailors can be traced back to the 18th Century when European sailors brought tattoos back with them from Polynesia. From elongated necks, bound waists and feet to dieting, bodybuilding and stretched earlobes, tattoos are just one instance of a human-history rich in body modification. 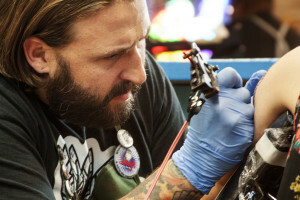 Nathan Haynes, Austin tattoo artist at True Blue Tattoo, appreciates tattooing for the cultural and aesthetic value, but also for the artistic process, which allows him to focus his attention on his work. For Austin resident Jessica Orr, each of her tattoos comes with a story: Wisdom passed down from her grandmother, a flower for her mother, even the placement of her tattoos have meaning. Austin resident Jessica Orr completes her floral sleeve at True Blue Tattoo in Austin, TX. The Indian Paintbrushes she’s having filled in affectionately remind her of her time spent in nature as a child. Symbolism for the tattoo wearer comes in many forms. 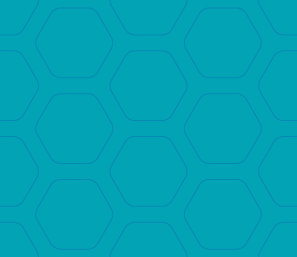 Some represent group identity; others past experiences. 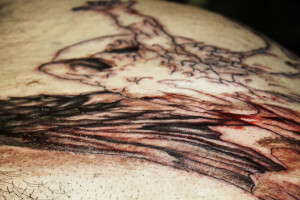 Spiritual and memorial tattoos are some of the most pervasive tattoos and have been around almost since tattooing began. 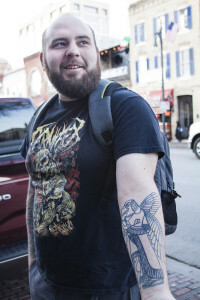 Austin resident Matt Corillard based his tattoo on Sumerian religion, which derives from ancient Mesopotamia. “I think there’s a lot that’s unexplained. The past is really just a big mystery. Austin resident Jon Shakarisaz prefers to pick an artist and build a relationship with him. 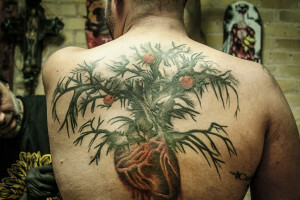 True Blue Tattoo manager and artist Cory Correia tattooed almost every piece Shakarisaz has on his body, including the back piece that represents his divorce. True Blue Tattoo manager and artist Cory Correia works on a tattoo on Jon Shakarisaz’s ribcage — a notoriously painful area of the body to have tattooed. 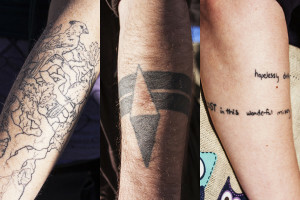 Shakarisaz says the pain is worth it though because each tattoo reminds him of a time in his life, good or bad. However, many tattoos have little regard for symbolism or explanation. For some, tattoos exist simply as a means to decorate the body as a human canvas or because the tattoos themselves create an event to be remembered. True Blue Tattoo artist Chelsea Kotzer says some of her tattoos have significance, and others do not. She doesn’t necessarily have a favorite, but she likes them all because of the friends who gave them to her. “They don’t all have to have meaning, but I like them all for different reasons. 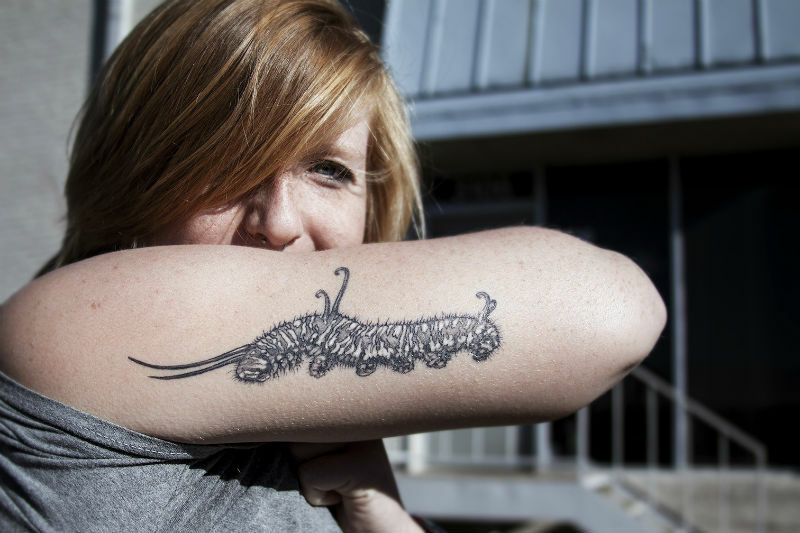 Mostly because I like the people who gave them to me,” True Blue Tattoo artist Chelsea Kotzer said. Cory Correia trained for two years as an apprentice in Hawaii before moving to Austin, where he now manages True Blue Tattoo on Red River Street. The road to becoming a tattoo artist can be long and arduous. It begins with an apprenticeship that can last anywhere from two to five years, in which the apprentice never picks up a gun. “Most people give up before they finish,” said Correia, who now manages True Blue Tattoo on Red River Street. Tattooing on skin differs from drawing on paper by color, absorbency and sometimes blood. An experienced tattoo artist will understand how to adapt each tattoo specific to the individual receiving it. Austin resident Lauren McIntyre is having a large tattoo “two-years in the making” fixed by Zulu before her April wedding. A tattoo “two-years in the making” comes to life on the back of Lauren McIntyre. Austin, TX Zulu Tattoo artist and shop owner fixes McIntyre’s old tattoo by decorating it with the organic, intricate lining characteristic of Art Nouveau. 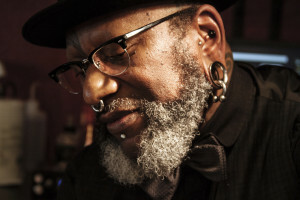 Zulu, owner of Zulu tattoo in Austin and formerly L.A., has been tattooing for more than 25 years. His background in art began as many other tattoo artist’s do, in illustration, graphic design and later painting and drawing. After years of designing graphics for products and privately designing tattoos for friends, he eventually decided to teach himself how to tattoo. Zulu, owner of Zulu tattoo in Austin and formerly L.A., has been tattooing for more than 25 years. He likes tattooing because it’s personal and always interesting. “I don’t think I’ll ever feel old at this job. I think it keeps you young-spirited. Maybe that’s just being an artist,” he said. While the history of the modern tattoo can be mostly traced back to Polynesian and Japanese roots, a plethora of other styles exist today: American, Trash-Polka, watercolor, dotwork, black and grey, lettering, realist, surrealist, biomechanical, Tahitian, Samoan, Maori, Hawaiian, Celtic, Native American, Haida, to name a few. When searching for an artist, it’s important to find someone who specializes in the style of tattoo you’re wanting. While Zulu is an iconic line work and tribal tattoo artist, Correia specializes in watercolor and Haynes in traditional-American. For more information on Zulu, Correia or other True Blue Tattoo artists, check out their websites at www.zulutattoo.com and http://www.truebluetattoo.com/tattooRR respectively.